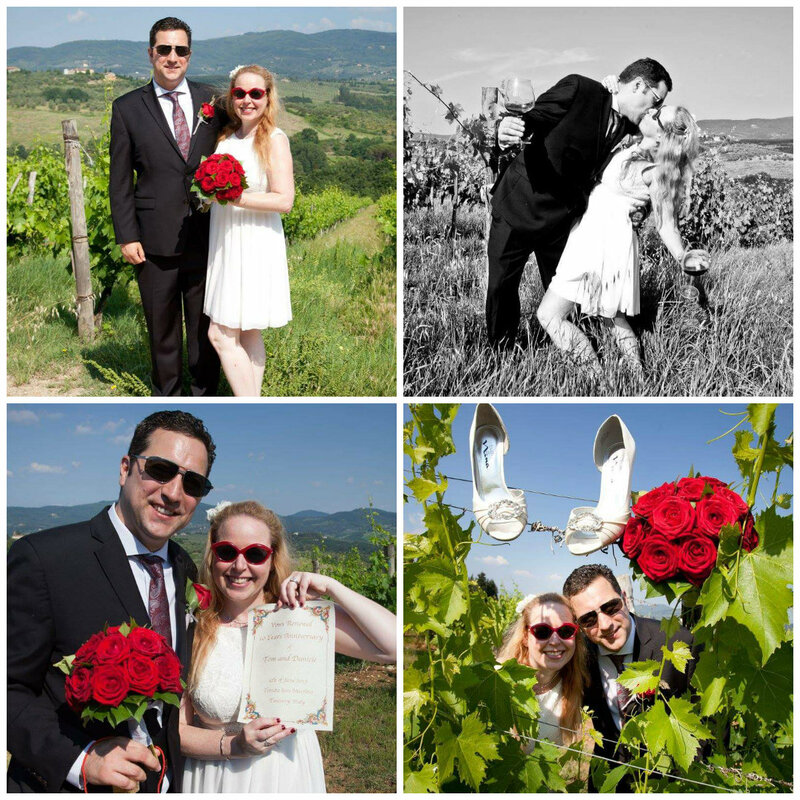 The great country of Italy holds a special place in my heart as it is was the first big trip I took with my husband when we were still just dating in 2003 and it is also the place where we recently had a 10 year wedding vow renewal ceremony. 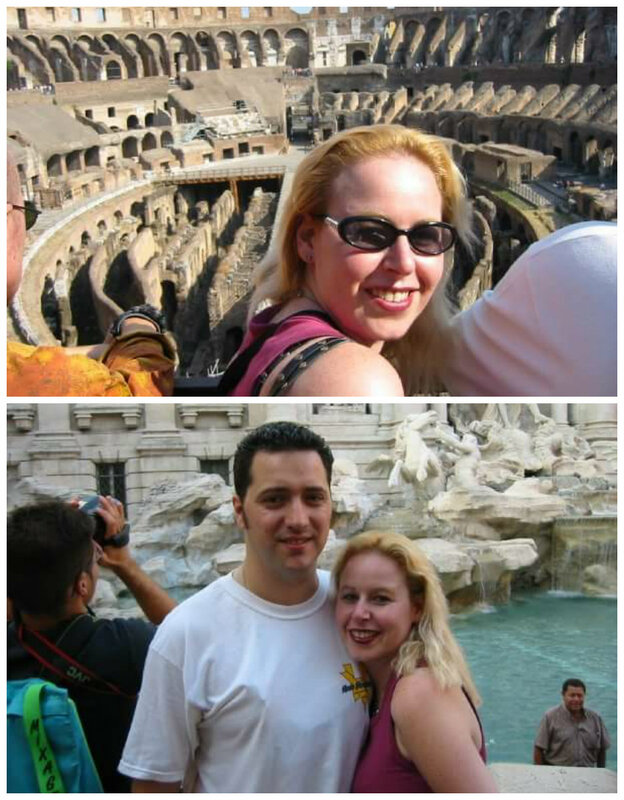 ❤ My hubby even chose to propose to me at the Venetian in Las Vegas on a gondola so it would be like we were in Italy again. 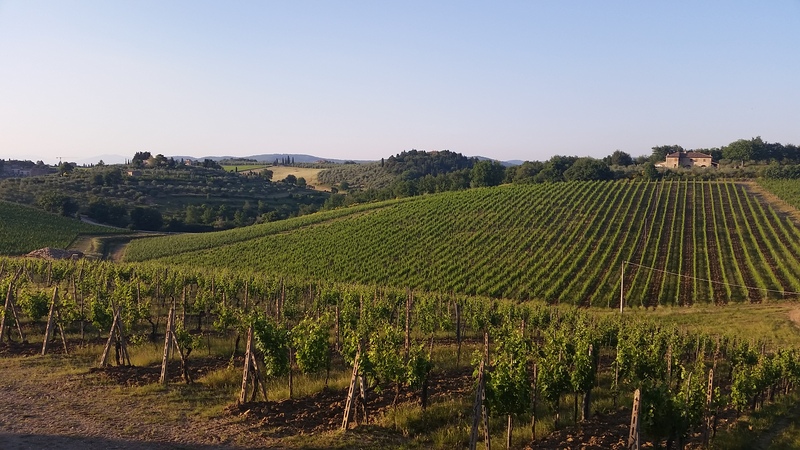 🙂 In addition to gorgeous sights, historical journeys, and great architecture, the food and wine in Italy are some of the most amazing I have ever enjoyed! Recently, when I came home from my 10 year anniversary trip to Paris, Cinque Terre, Rome, Florence, and Tuscany I was still craving more. Seriously if I could have a home away from home anywhere on the planet, the one place in which I would love to buy property is Italy! 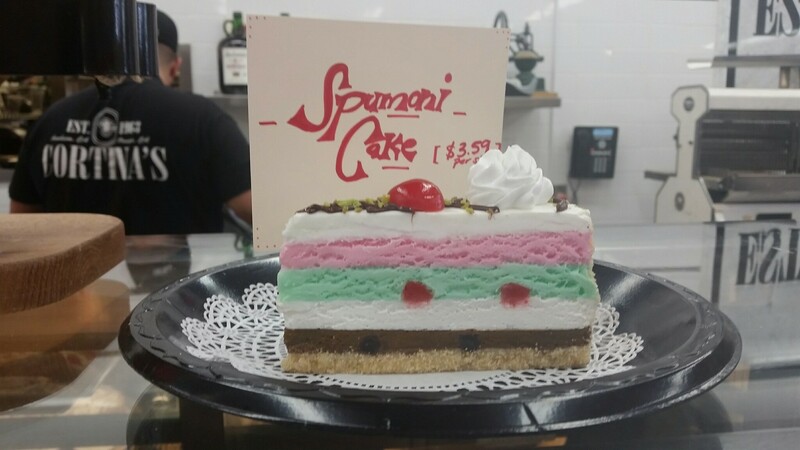 Anyhow, after I came home I was still craving Italian food and I decided to make a stop at an Italian market I had heard about in Anaheim named Cortina’s Italian Market that has been there since 1963! 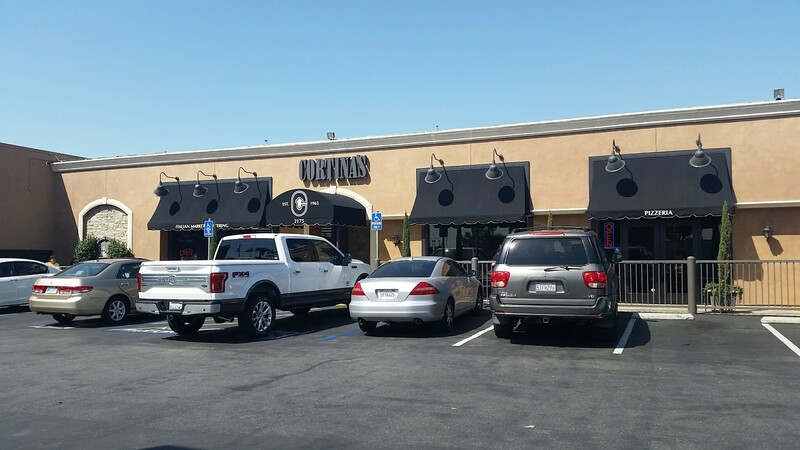 I originally had heard about Cortina’s from quite a few people and I knew it was located close to Disneyland, so since I had a huge hankering for the Italian cheese named, Stracchino, I made my way over to visit Cortina’s one day after work. 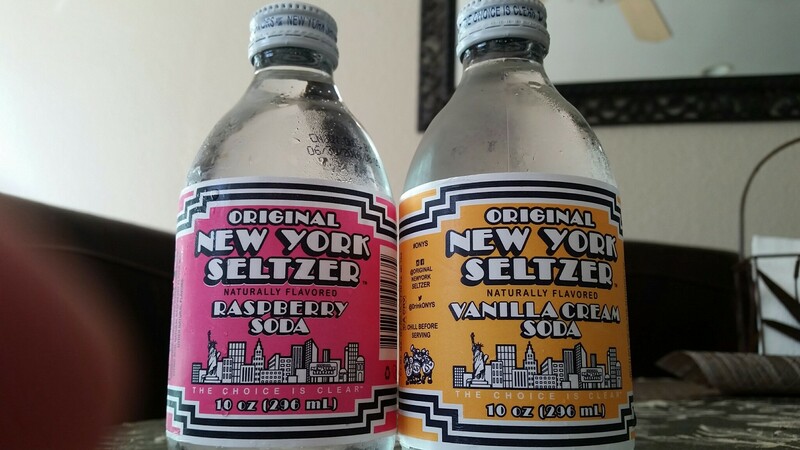 I was happy to discover that I only work 4 miles away from this Italian haven! 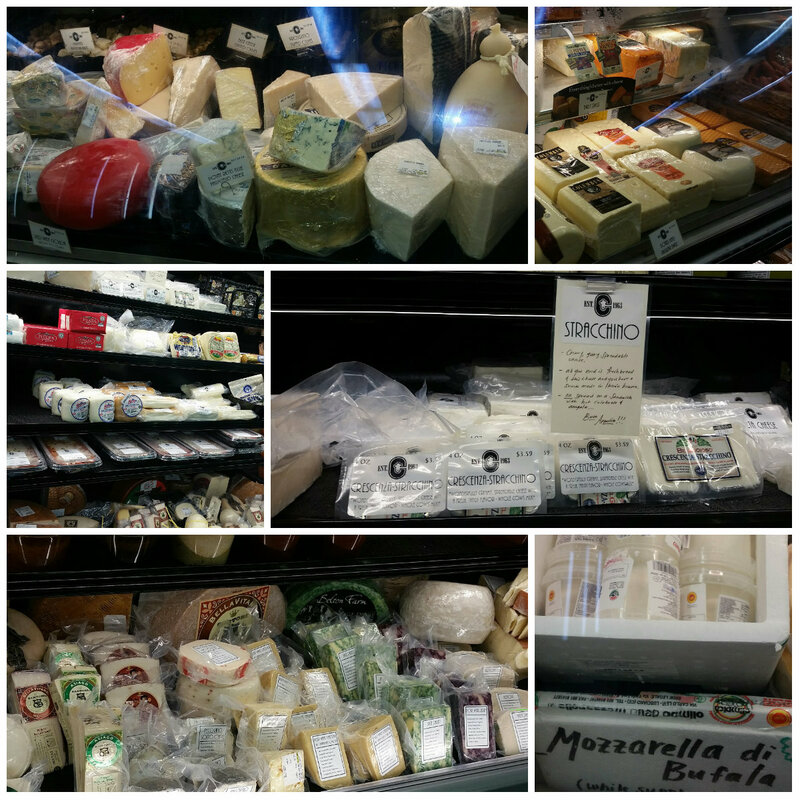 I could not contain my excitement when I entered Cortina’s because not only did I find my beloved cheese in two different varieties; I found a variety of other goodies from the amazing country of Italy. 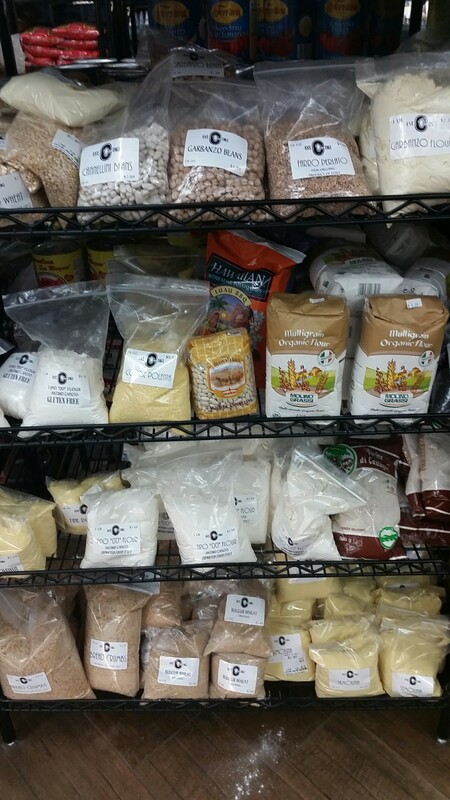 There were so many options for freshly made goods, as well as dried goods imported from Italy. 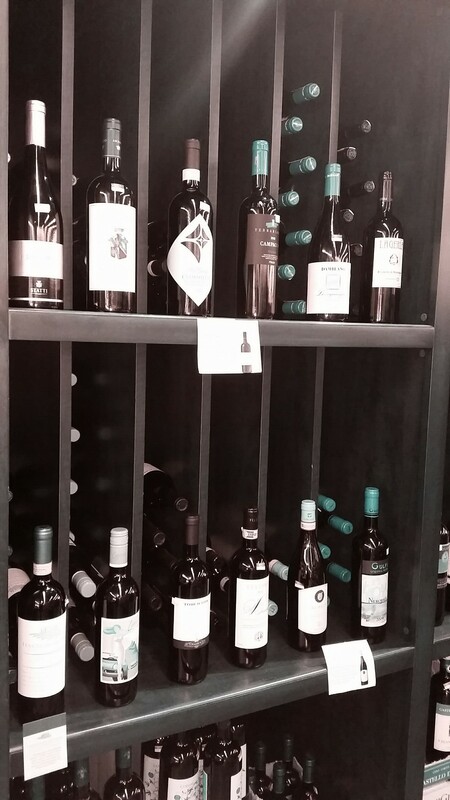 Cortina’s is not only a fine Italian Market; they also have their own restaurant! I have not yet been to the restaurant, but I am sure when I do, you will hear from me again on the topic! 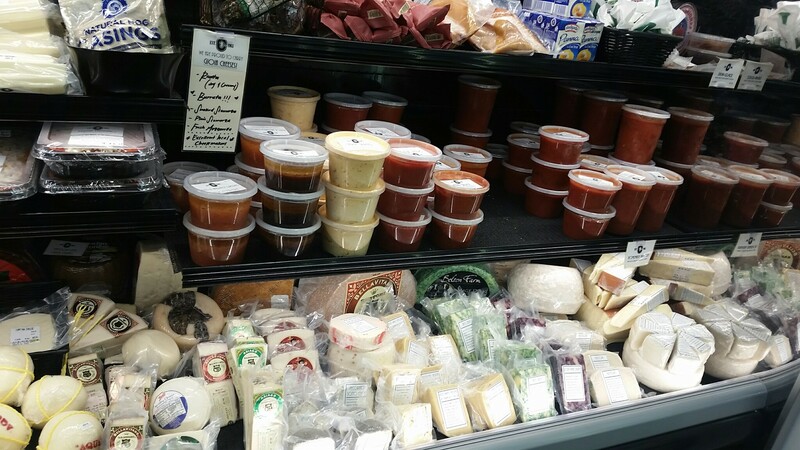 Since Cortina’s also has a restaurant connected to the market, they sell their homemade dough, sauces, cheeses, pastries and more in the market! 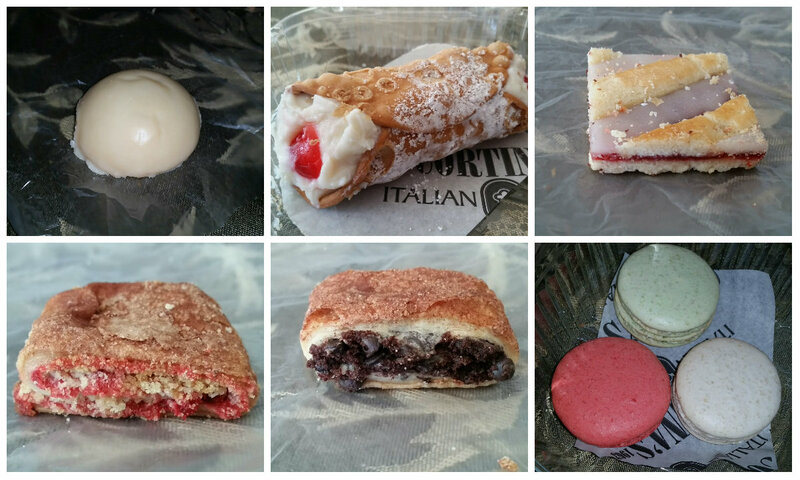 I did take the opportunity to indulge in several of the pastries that I took home with me! In addition to pastries, I also bought Cortina’s fresh made Stracchino cheese, fresh carved meats, squid ink pasta and feta cheese! While I did spend a little over $100, I totally got a gold mine for my money! Every item I bought that day has been of high quality! 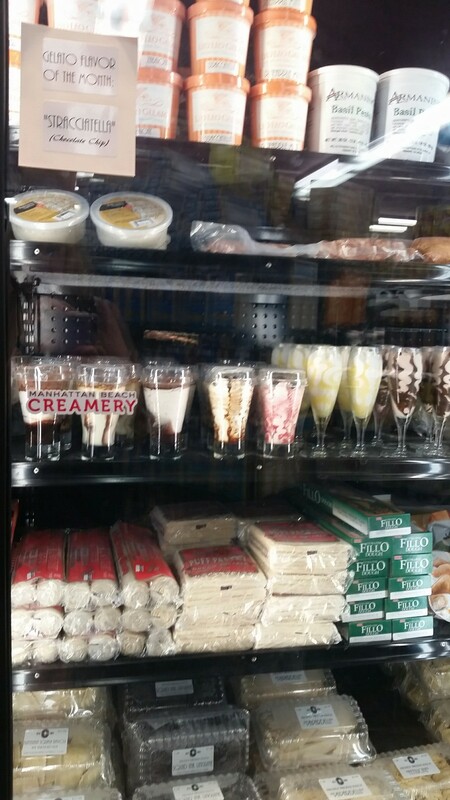 They even had my favorite brand of cheese in many different flavors that is hard to find. The cheese I love is called Sartori and it is pretty fabulous! 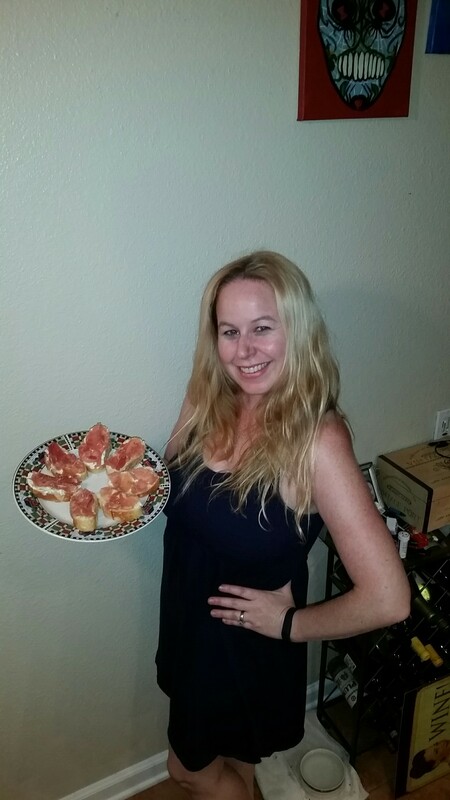 I tried them for the first time years ago at a cheese and wine event in Newport Beach and could not get enough of their raspberry beer bellavitano cheese! 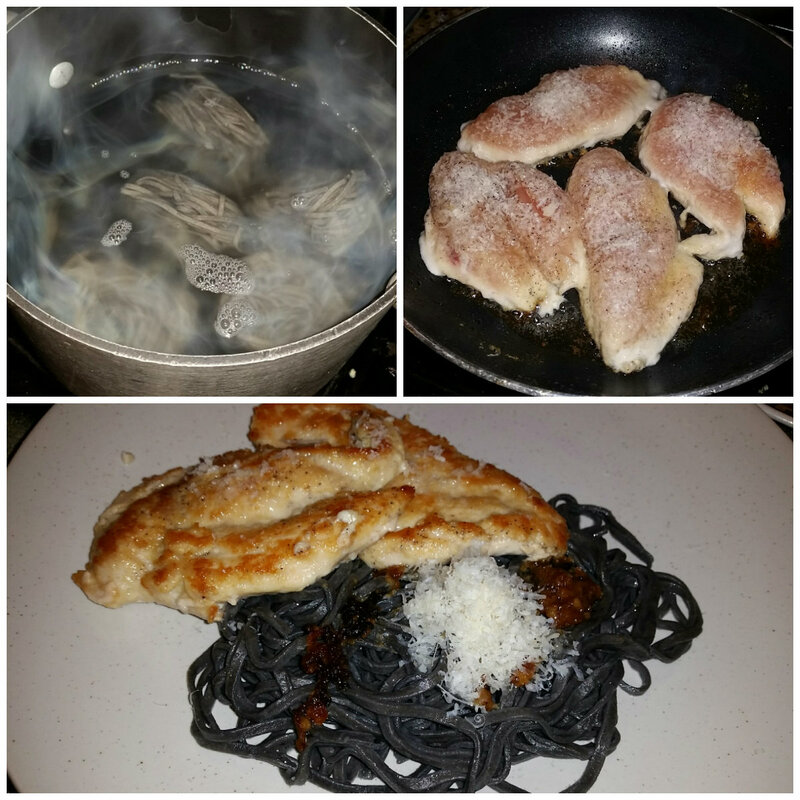 I surprised my hubby with my purchases of the day and he made me an amazing Italian meal that evening with chicken and the squid ink pasta. 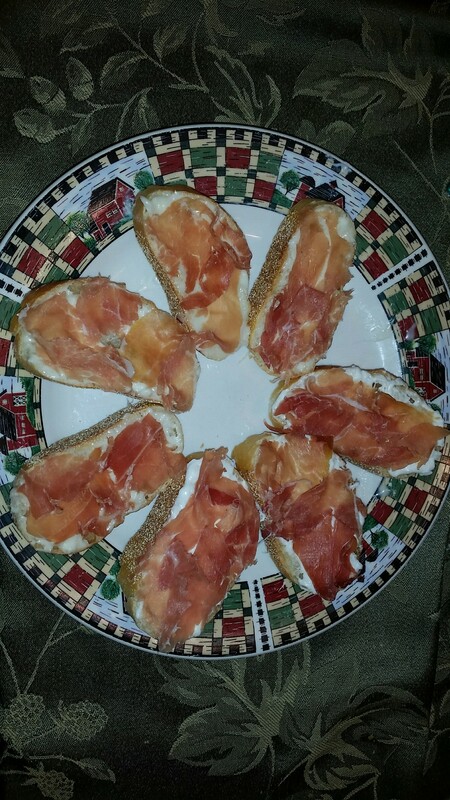 I made appetizers on their fresh bread with their gourmet meats and of course my beloved stracchino cheese! 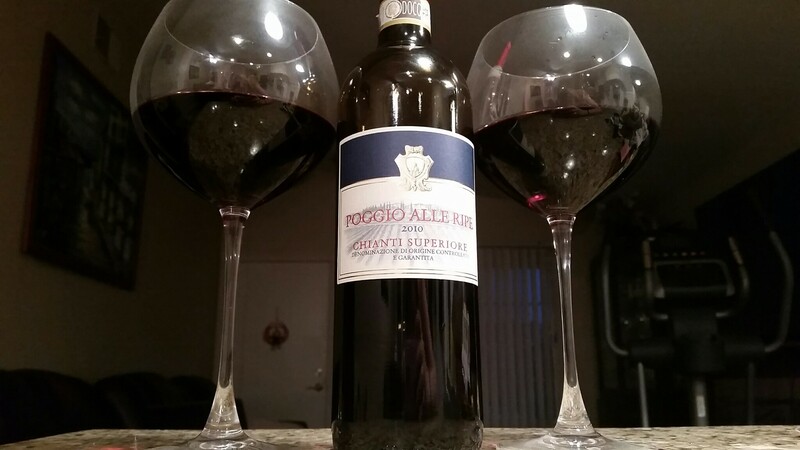 I also paired our meal with a lovely wine we purchased at a winery in Italy this past spring where we renewed our wedding vows called Tenuta San Martino. 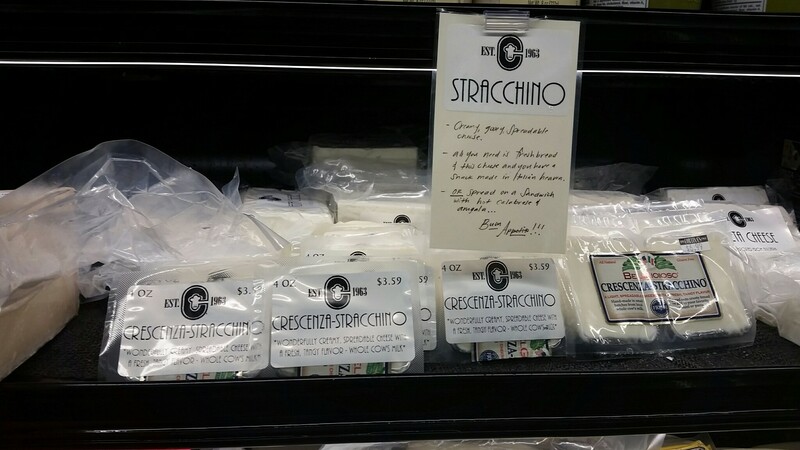 If you have never had stracchino cheese, it is somewhat similar to a buffalo mozzarella, but it is more gooey and stretchy with a slight salty flavor. The thing I would compare it most to is Burrata cheese! I literally could live off of cheese and wine! 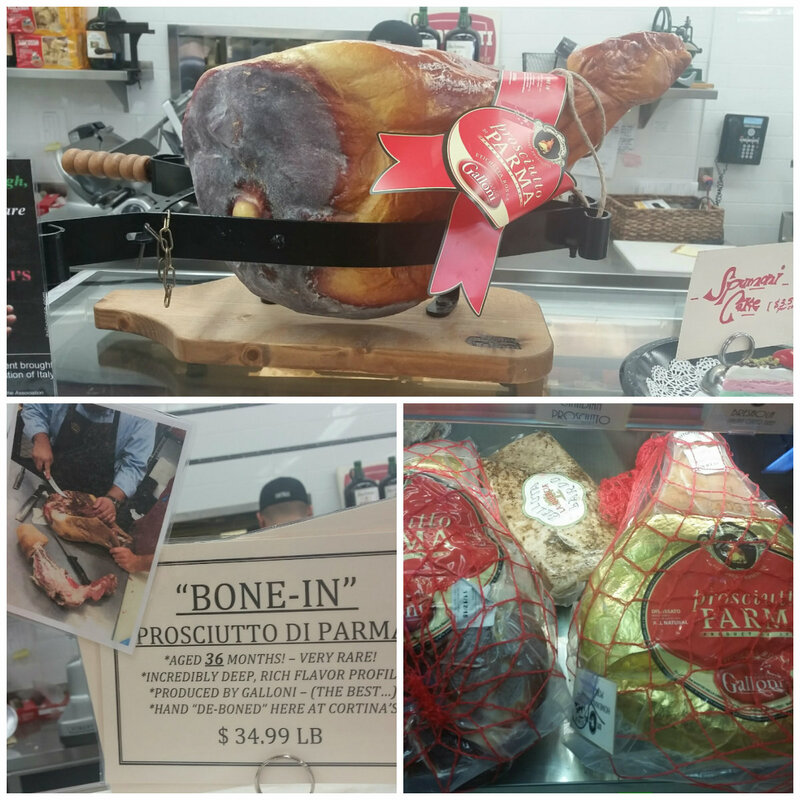 I look forward to going back to Cortina’s again soon to pick up some of their hard goods as well as their fresh items to cook in my home. I also definitely plan to visit the restaurant soon! 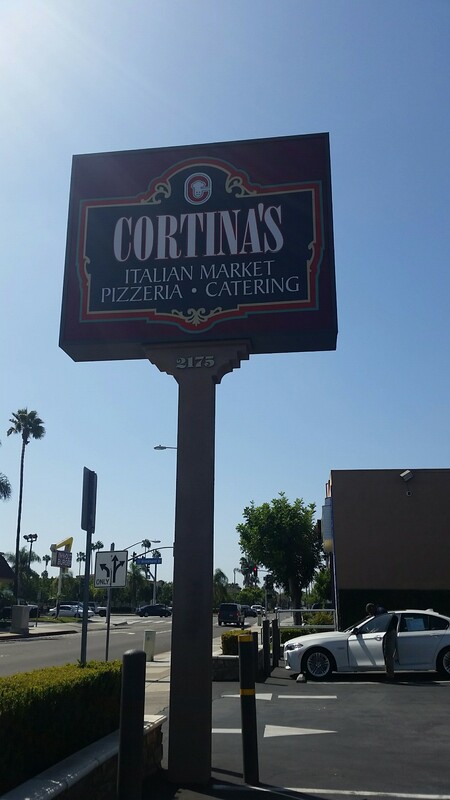 Have you ever been to Cortina’s? Share your thoughts in the comments section below and I would love to know all about the restaurant as well as I cannot wait to dine there in the near future! 🙂 Ciao. That chicken your husband made… HAS ME DROOLING! It was amazing!! Loves having a hubby that loves to cook!